The portfolio projects, located in Kent & Prince Georges County of Maryland, are anticipated to reach operation by 2019. Sol System would be monitoring the delivery of both the projects to Greenbacker who would be the project owner & operator. The Greenbacker Renewable Energy Company (Greenbacker), a renewable energy firm, has reportedly announced that it has acquired rights of a 10.8MW portfolio of two solar energy projects from renowned solar finance and development firm, Sol Systems. 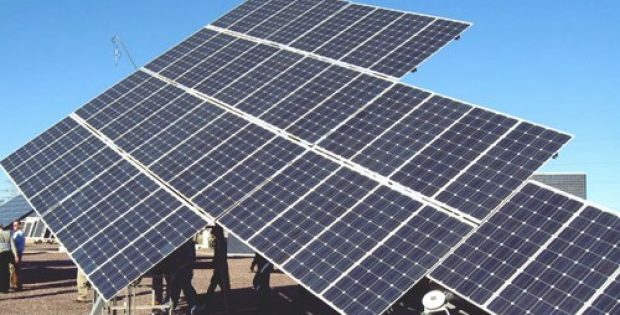 Reports cite, Greenbacker is procuring the portfolio of two solar projects, namely Project Phoenix, Project Blue Star collectively called the Phoenix Solar Portfolio, through its wholly owned subsidiaries. According to a report by Solar Power World, with the appropriation of the 10.8MW Phoenix Solar Portfolio, Greenbacker would be owning about 290MW of power generating capacity, counting in assets that are being planned & yet to be constructed. Approximately 62MW would be derived from wind facilities and the remaining 228MW would come from utility scale as well as distributed solar facilities. The CEO of Greenbacker, Charles Wheeler stated that the solar portfolio would be an excellent addition to the firm’s extensive solar portfolio, facilitating long-term investment-grade cash flows and advancing Greenbacker’s targeted expansion into utility-scale & net-metered wind as well as solar assets. Wheeler further added that Sol Systems has demonstrated its capability in delivering high-quality projects & the company is thrilled to deepen its relationships with one of the United States’ leading renewable energy companies. The VP of development, Sol Systems, Andrew Gilligan stated that the company is delighted to be able to reach at this milestone for the two projects and is thrilled to be working along with dedicated professionals such as the ones that make up the Greenbacker team. According to reports, the financial terms of the agreement have not been unveiled yet. Both projects are expected to commence commercial operation by June 2019 and Sol Systems would be supervising the portfolio’s delivery to Greenbacker.